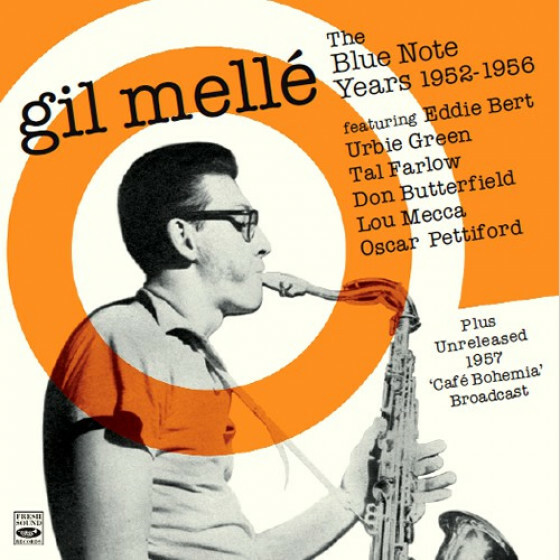 A true renaissance man, Gil Melle began his career as a post-bop baritone saxophonist who also composed and painted, later branching out into a wide variety of artistic and scientific fields. He abandoned jazz fairly early on in his career, choosing to compose a number of film and television scores and experiment with electronic music instead. Then again, Melle's music wasn't strictly jazz -- it was a hybrid of jazz, drawn from Duke Ellington in particular, and classical music, which he called "primitive modern." That "primitive modern" music was on display on a series of albums for Blue Note and Prestige in the late '50s. Following that series, Melle only released records sporadically, but he kept amazingly busy, composing scores, pioneering electronic music, building specialized computers and synthesizers, painting, piloting, and restoring automobiles and planes, as well as keeping an antiquarian microscopical instrumentation collection. Melle was born in New York City (December 31, 1931), where he was raised by a family friend after his parents abandoned him at the age of two. As a child, he began painting (he won several national painting competitions as a preteen) and playing saxophone as a teen. Before he was 16 years old, he was playing several jazz clubs in Greenwich Village. 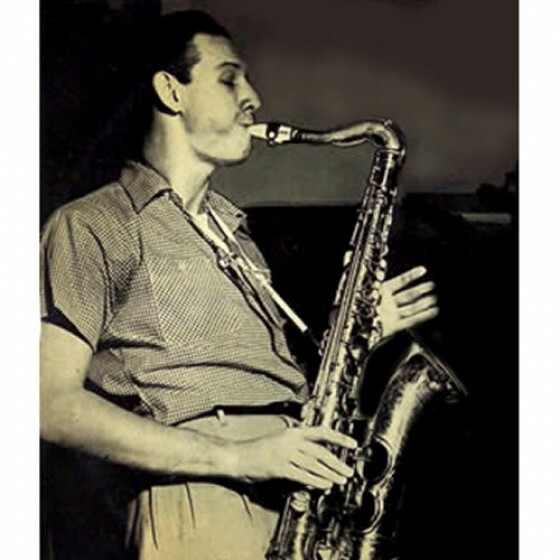 At the age of 19, he signed to Blue Note, becoming the first white musician on the label's roster. At Blue Note, he released five 10" records before recording his first full-length 12" LP, Patterns in Jazz, in 1956. In addition to recording and performing jazz, Melle continued with his artwork, and his paintings and sculptures were displayed at several New York galleries; in addition, his art was featured on his own albums, as well as records by Miles Davis, Sonny Rollins, and Thelonious Monk. He left Blue Note shortly after the Patterns in Jazz sessions, signing with Prestige. 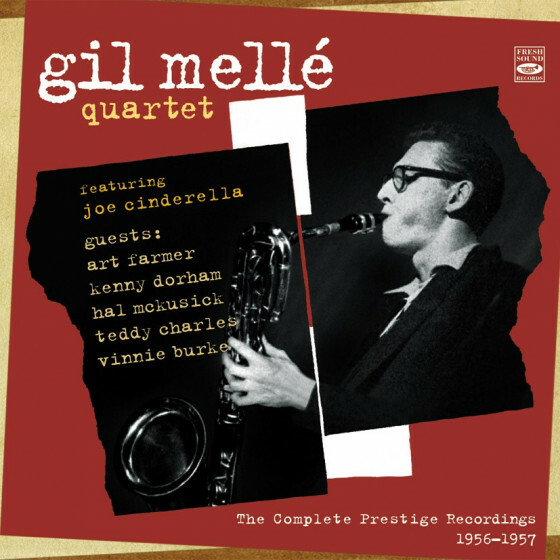 Between 1956 and 1957, he recorded three albums for Prestige -- Primitive Modern, Gil's Guests, and Quadrama -- before deciding to halt his career as a traditional jazz bandleader. Melle moved to Los Angeles in the '60s, where he began to compose scores for film and television. Over the next 30 years, he wrote scores for over 125 films. He also began working with electronic music, building his own synthesizers, including (arguably) the first drum machine, and performing with the first all-electronic jazz band, the Electronauts, at the 10th Monterey Jazz Festival. In 1967, he returned to recording with Tome VI, an all-electronic jazz album released on Verve. He continued to pioneer electronic music, writing scores for Night Gallery and The Andromeda Strain entirely with synthesizers, which was unheard of at the time. In addition to writing music for films, he composed several symphonies, which he performed with symphony orchestras in Toronto, London, and New Zealand. During the mid-'90s, Melle decided to concentrate on the visual arts, in particular his computer-based digital painting, which drew great acclaim from art critics across America. Gil Melle died of a heart attack at his home in Malibu, California on October 28, 2004.